When it comes to the border on the island of Ireland, the coming days will stretch the politics of Brexit to the limit. "For a border community, it impacts on every aspect of everyday life. When you get up in the morning, which road do you go out on?" "In Dublin or Belfast they won’t understand." These are the views of one resident reported in a comprehensive survey of people living along both sides of the border on how Brexit will impact their lives, economically, socially, and psychologically. The paper, Bordering on Brexit: The Views of Local Communities in the Central Border Region of Ireland/Northern Ireland, has been published by a Queen’s University research team led by Dr Katy Hayward. "That very close, tight way that it affects everything you think about and everything you do" continues the respondent. "For example, the man who fixes my car lives in Newtownbutler, Co Fermanagh - to drive you’d go out the Cavan road into Co Fermanagh, then into Co Monaghan, then into Co Fermanagh and then you get to his house. I could do that journey in 10 or 15 minutes; what would that be like if crossing an international European border?" These parochial but very real concerns, from Derry to Dundalk, are this weekend the subject of intense international diplomacy, gripping London, Dublin, Belfast and Brussels in a seemingly irreconcilable tug of politics. Donald Tusk, the President of the European Council, has set Monday as an absolute deadline for Theresa May to tell the EU, during a working lunch with the Commission president Jean-Claude Juncker, how she intends to solve the border problem, as well as the issue of Britain’s financial settlement and the rights of EU citizens. Whether that deadline can be met, and what happens between Monday and the summit of EU leaders on 14 and 15 December, will have untold implications for the history of Ireland and the United Kingdom. The outcome may determine whether there is a hard border, no border, or something in between. It will have ramifications for the civil war in the Conservative Party and the stand-off between Sinn Féin and the DUP in Northern Ireland. It will have implications for millions of euro in cross-border trade, for cross-border healthcare, education, energy, waterways and other daily activities whose very nature is encouraged and facilitated by the Good Friday Agreement (GFA). And it will have implications for the man in Co Cavan who gets his car fixed in Newtownbutler, Co Fermanagh. If there is agreement that satisfies the Irish government, then Theresa May can claim a sorely needed victory in that the Brexit negotiations can finally move into the second phase, and Leo Varadkar will be able to assert his credentials following the disastrous Frances Fitzgerald episode. Between now and 14 December, two competing visions of how to avoid a hard border will be the subject of intense negotiation. Ireland has essentially argued that the only real way to achieve that aim is for continued regulatory alignment north and south across a range of fields that typically operate under the structures of the GFA, or in which the spirit of the GFA in advancing peace and prosperity can be preserved beyond Brexit. As this blog reported on 18 November, EU and British officials had embarked on a detailed mapping exercise during the summer, looking forensically at how north-south co-operation has been enabled by mutual EU membership, where there is currently no "regulatory divergence". The Irish logic, shared by the European Commission Brexit Task Force under Michel Barnier, is that ensuring continued regulatory alignment will go some way towards protecting the GFA’s north-south process. Extend that regulatory harmony to customs, trade, goods, agri-food, animal feed, education, medical devices and so on, and you remove the need for a border of any kind altogether. The net result, though, is for Northern Ireland to effectively remain in, or as close as possible to, the EU’s single market and customs union - a bridge too far for Theresa May’s Conservative government, and the DUP, on whom she relies for political survival. Britain's own approach to this has evolved slowly and painfully, given that it has had 18 months to think about it. In August its negotiating paper on Ireland focused not on the mapping exercise but on technology and a range of customs exemptions for small and medium-sized enterprises and so-called "trusted traders" as the principal way to avoid a hard border, but that option was brutally dismissed by the Commission as "magical thinking." As we get closer to the crunch point however, London has been pushed into thinking harder about the issue. On Tuesday, the former Conservative leader William Hague, a politician known to inhabit the more thoughtful end of the Tory spectrum, wrote in the Daily Telegraph: "Any solution must flow from the Good Friday Agreement and what is needed to uphold it in its entirety. But sweeping solutions are unlikely to deliver that - what is required is a granular matching of problem with solution, in the light of what matters in practice on the island of Ireland. "That will entail some flexibility from the UK, but also from the EU on how rigidly it regards its rules, and given what is at stake here, those with a sense of responsibility in the EU should be ready for that." It implicitly recognised the result of the mapping exercise. However, rather than go for a holistic solution to the problem - i.e. Northern Ireland remaining inside the customs union and single market - Mr Hague was saying it would be better to take each area of cross-border co-operation in turn and generate a bilateral UK-EU agreement that would mimic the current regulatory harmony. That would "entail some flexibility from the UK" he admits, but also from the EU, in how they apply their single market rules. The EU instinctively resists complex webs of micro-bilateral deals, as they are devilishly hard to monitor, enforce and negotiate. The EU will also not take kindly to the British government suggesting it loosens the rules that protect its single market. But the political reality of Theresa May’s fragile grip on power, means that the outcome of the next days of intense negotiation resides somewhere between these competing versions of fixing the border. Despite British media reports all week that a deal was imminent, RTÉ News understands that, by Friday, when Donald Tusk was travelling to Dublin, we were not even close. "Things are in flux" one well placed EU source said on Friday. "It is not a clear picture. We are running out of time. As of right now, despite what the British media are saying, there is no agreement in sight". In fact, even though the negotiations are strictly speaking between the EU Task Force and British officials, as the Irish issue went down to the wire, there was a stepping back by the Task Force and much more direct involvement of Irish officials in the Commission’s Berlaymont headquarters, grinding out ideas and exchanging language with their British counterparts to try and reach a compromise. There were conflicting signals from a number of sources about how close Britain was to getting agreement on the border, with one source saying that by Friday evening a firm text was still elusive. A British source said London had tabled a text over two weeks ago on the border and this week had been working on a joint text. One senior EU source, intimately involved in the process, neatly captured the state of play, and what kind of guarantee Britain might produce to reassure Ireland. "There are limits to how concrete we can get because the details are really for Phase II" he said. "But the Irish are looking for hard, concrete and credible assurances from the Brits that they are ready to do what has to be done to avoid a hard border in Ireland. "It is not enough [for the British government] to say they want to avoid a hard border. The problem has been the whole time that they have been saying three things: they do not want to be in the customs union and the single market, they do not want a hard border, and they do not want a border on the Irish Sea. "The problem is that those things cannot be readily reconciled. "The ideas they have hitherto put forward as to how you administer a border, the frictionless trade and so on, have convinced no-one. That is why they have to give more substantial, concrete and credible assurances that they are ready to do what they have to do to solve this problem." And of course, the clock is ticking. What happens between Monday’s lunch deadline and the European summit will be shaped by several dynamics. One is the complex institutional arrangement as to who exactly decides there is "sufficient progress" on the three issues in order to wave Britain through to Phase II. Another is the distinct possibility that Irish and British brinkmanship will escalate, thus setting up a dramatic, high-stakes scrap at the EU summit itself. On the first dynamic, the negotiating guidelines agreed by the 27 EU leaders on 29 April confirmed that the negotiations would be led by Michel Barnier, with the expertise of the European Commission at his fingertips. But it is the EU 27 who will decide on whether or not "sufficient progress" has been delivered. On Monday, after the May-Juncker lunch, it will fall to Mr Barnier to make a recommendation to the College of Commissioners as to whether or not there is a breakthrough on the financial settlement, citizens rights and Ireland. The College will then formally give its assessment, based on Barnier’s recommendation, on Wednesday. That assessment is then passed across Rue de la Loi to the European Council. The EU’s negotiating guidelines spells this out: "The European Council will monitor progress closely and determine when sufficient progress has been achieved to allow negotiations to proceed to the next phase." But the big question is this: what if Irish and British negotiators, under the close scrutiny of the EU Task Force, cannot agree on a text on the border? One big suspicion in Dublin (and Brussels) circles is that London is deliberately trying to isolate the Irish issue from the other two. This is being done, suggest some officials, by putting forward an irresistible offer on the financial settlement and citizens’ rights, thus putting unbearable pressure on Leo Varadkar to go along with a less than robust deal on the border. EU sources say that won’t succeed. "It would be a disaster if Ireland was the last subject standing" says one senior Brussels source. "We’ve made it clear to the UK that it would not be Ireland left standing but the EU 27. There will be no isolating and dividing." Irish sources say it would be inconceivable for Theresa May to turn up on Monday with only two out of three fully formed proposals and they are even grimly determined that if things are not ready on Monday then so be it. In that case, according to informed sources, we are facing a number of scenarios. The most benign is that Britain produces a text on Ireland ahead of the lunch that Dublin can live with, and that the EU Task Force believes satisfies the criteria about protecting the peace process and avoiding a hard border, but which also allows Ireland to comply with EU rules on the single market and customs union. Sources suggest the talks could go late on Sunday night, and even right through Monday morning right up until lunchtime in order to get that result. In this scenario, Michel Barnier recommends to the College of Commissioners on Wednesday that there is sufficient progress on all three areas, and then the Brussels machinery can start drafting texts for what would be a relatively drama-free European Council. A second scenario is that Theresa May is able to deliver on the money and citizens’ rights, but tells Juncker and Barnier that British and Irish officials need more time. In this situation, there would be just under 48 hours before the College of Commissioners meeting on Wednesday for officials to try and scramble a text over the line. At the midday news briefing in the European Commission on Friday, Alexander Winterstein, the deputy chief spokesperson, was asked three times if more time might be needed for the Irish issue, and each time he simply said that the College of Commissioners would meet on Wednesday and make its decision then. The third, and most tricky scenario is that there is no breakthrough on the Irish issue by Wednesday and the College of Commissioners is unable to declare sufficient progress. Donald Tusk can then start preparations for the summit by telling member states that there is good progress on money and citizens’ rights, but we still need work on the Irish question. That is where the process heads into a dramatic denouement at the summit. It is also where Donald Tusk will have to display all of his skills as president of the council. He will be putting on his shoulders the task of managing a potential move into Phase II, while ensuring that he supports, and is seen to support, the member state most exposed to Brexit. Despite the expressions of solidarity for Ireland’s national predicament from national capitals, if the money and citizens’ rights issues are over the line then the political weather patterns may shift. According to one source, everyone can abide by the logic of Ireland’s demands on no regulatory divergence, so long as they comply with EU rules. But it’s the politics that will count. "On the all-island solution [regarding regulatory alignment]", says one senior EU official, "from a technical point of view it can easily work. The problem is more political. It is difficult on both sides because of all the history, and because there are not just two parties [Dublin and London], there are three, including Northern Ireland itself". There are two key points to remember: "sufficient progress" must apply to each one and all three issues. They are indivisible - one package. The second is that it will be the 27 EU leaders who decide, not the EU’s chief negotiator Michel Barnier. Instinctively Donald Tusk will want to avoid a situation where Leo Varadkar feels that he has to come to Brussels for a bruising scrap to get the form of words he wants on the border. Given that Theresa May will attend the summit on the first day, Thursday 14 December, as it is still a summit at EU 28 level, there could, in that scenario, be bilateral and trilateral meetings going late into the night. The next day is when the EU 27, with the British prime minister gone from the room, will make their momentous decision. President Tusk’s statement yesterday afternoon after meeting the Taoiseach in Dublin could not have been stronger in terms of EU support, the former Polish prime minister even resorting to Irish to get the point across: Ní neart go cur le cheile (There is no strength without unity). "I came to Dublin to reassure the Taoiseach and all the Irish people", he said, "that the EU is fully behind you and your request that there should be no hard border on the island of Ireland after Brexit. The Irish request is the EU’s request". He added: "We have agreed today that, before proposing guidelines on transition and future relations to the [EU] leaders, I will consult the Taoiseach if the UK's offer is sufficient for the Irish Government. 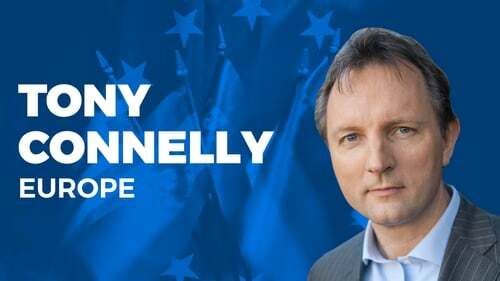 "Let me say very clearly: if the UK's offer is unacceptable for Ireland, it will also be unacceptable for the EU. I realise that for some British politicians this may be hard to understand. "But such is the logic behind the fact that Ireland is an EU member while the UK is leaving. This is why the key to the UK’s future lies, in some ways, in Dublin, at least as long as Brexit negotiations continue." The words were tremendously heartening to the Irish government. They were also indicative of the fact that the EU is fully aware of the anti-Irish rhetoric of sections of the British press and political system. The tone was most likely deliberately pitched also to encourage British officials to go the extra yards in the final hours. The government does not like to use the word veto, but Tusk’s remarks suggest that veto it is. At the same time, Dublin has been sending out signals that the form of words given by the British need not explicitly spell out the status of Northern Ireland vis-à-vis the single market and customs union. There is sufficient realism that Theresa May will not be able to sign up to a bald declaration that there be "regulatory convergence" on both sides of the border. Senior sources in Brussels insist that the DUP factor is not their main concern; rather it is the hardline Conservatives in her own party who are viscerally attached to the Union of Great Britain and Northern Ireland. But the Irish Government will accept nothing less than something solid, credible and binding that somehow pushes regulatory alignment to the deepest possible extent, within the quantum of political realities. It is fair to say that, in a worst case scenario, a summit conclusion that falls far short of Ireland’s demands would be a disaster for the EU 27, which has so far professed unity and solidarity to the enth degree. These, then, are the stakes.